It’s important to us that we help charities in and around our part of London. 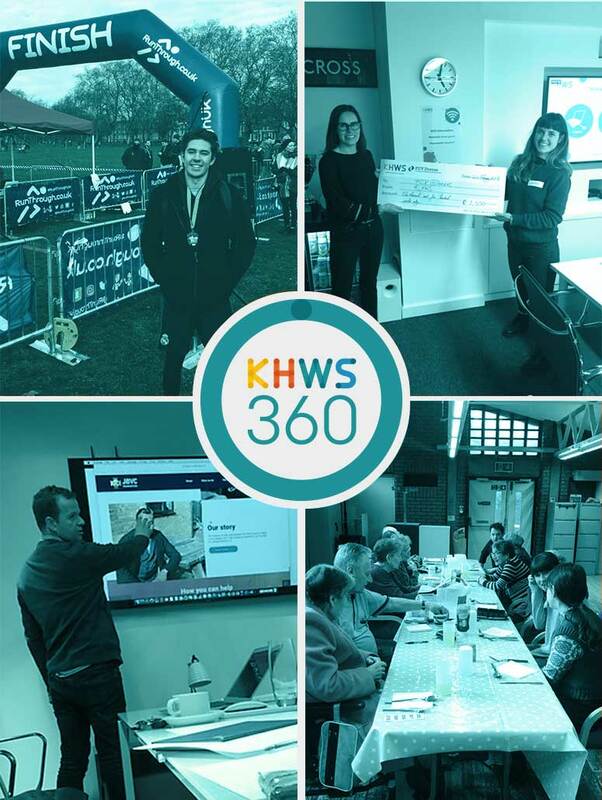 KHWS 360 is an agency-wide CSR initiative. It does a lot more than simply rattling the donation tins (though we do raise a lot of money too). We donate our marketing skills to each charity, from designing the charity’s website to creating awareness campaigns. We also donate our time supporting local lunch clubs and sometimes cycling or running in fundraiser races. FCV Dorcas helps isolated older people living in Central and South Islington, with the sole aim to enhance their quality of life. Johnson Beharry VC’s foundation helps young people from Southwark rebuild their lives after serving a prison sentence for a gang-related crime.